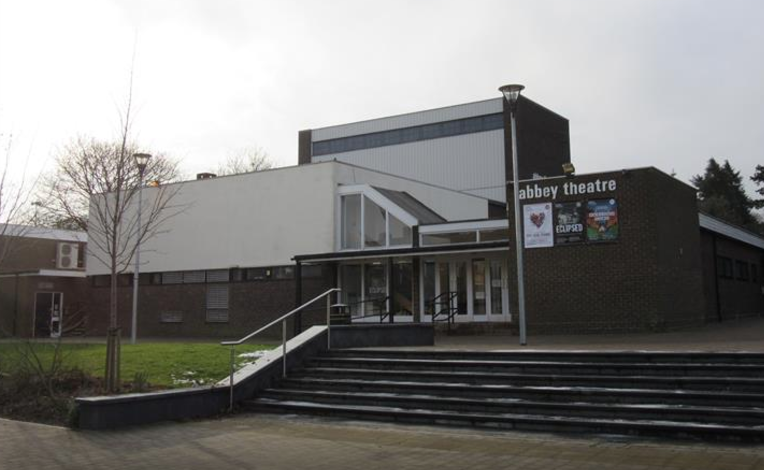 Built and run entirely by members, The Abbey is all about providing high-quality, affordable theatre to the local community. The Abbey has been delighting audiences for nearly fifty years, mostly through the work of their resident production company, the widely-acclaimed Company of Ten. The Theatre also welcomes visiting professional and amateur groups, which helps provide a truly diverse programme of events throughout the year. So whether your taste is for comedy or tragedy, classics or rarities, costume-drama or modern dress, their season should have something for you. There are two performance spaces. The Main Stage is a traditional proscenium arch theatre, which seats 230. That’s where you’ll find most of the productions, particularly those chosen with popular tastes in mind. The other venue is the Studio, which seats about 75 people and is generally used for more challenging, even experimental, theatre. Seating in the Studio is unallocated. The Theatre’s foundation stone was laid by the actor Sir Michael Redgrave in 1967, and when the theatre was completed in 1968 it was opened by Queen Elizabeth the Queen Mother. Their current patron is Mike Newell, the BAFTA-winning director of Four Weddings and a Funeral and Harry Potter and the Goblet of Fire. The Theatre has been a member of the Little Theatre Guild since 1981.